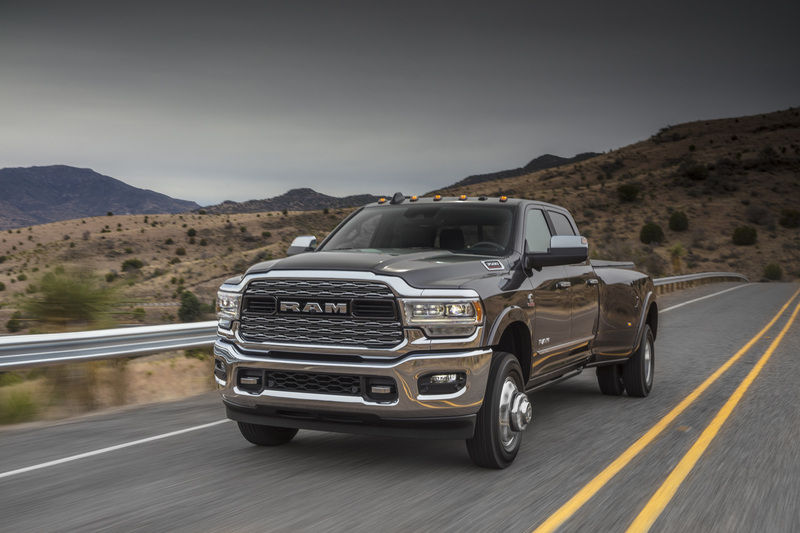 "Ram Heavy Duty owners constantly demand the highest levels of capability to tackle the biggest jobs and with 35,100 lbs. 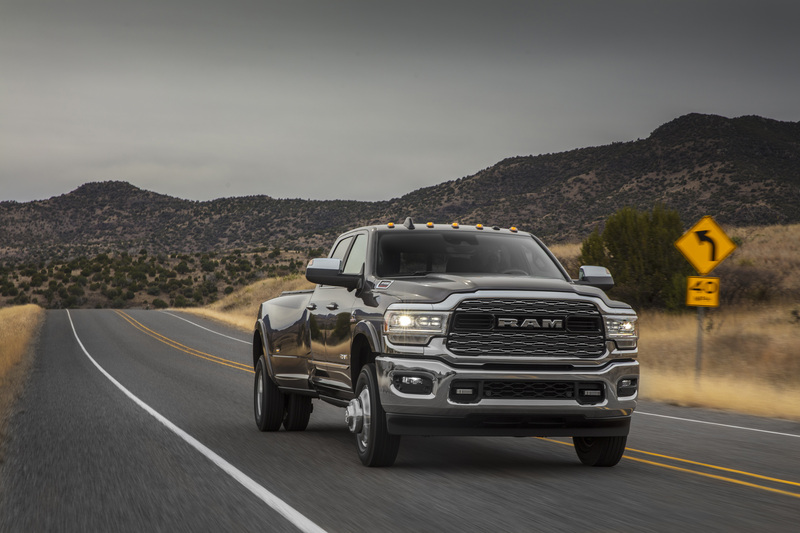 of towing capacity, pulled by 1,000 lb.-ft. of torque from our Cummins engine, we now hold the most important titles within the segment," said Reid Bigland, Head of Ram Brand, FCA. 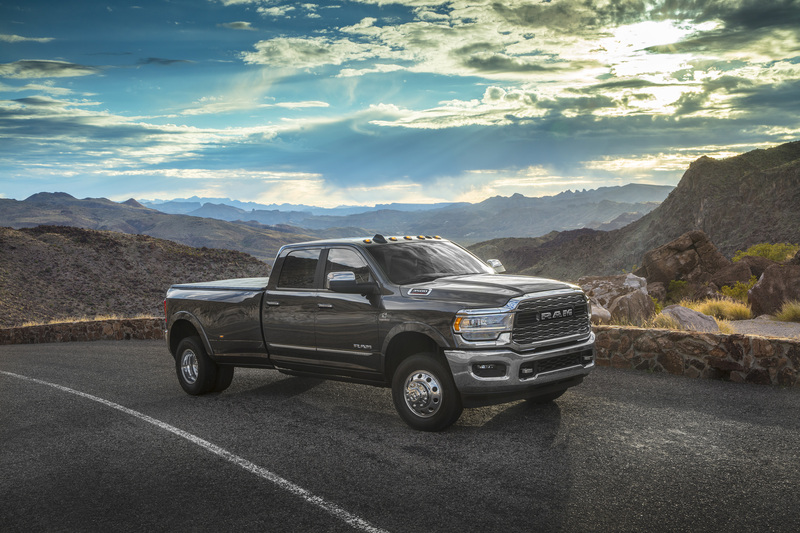 "We've also surrounded owners in luxury and technology that, until now, was unavailable in a heavy-duty pickup. 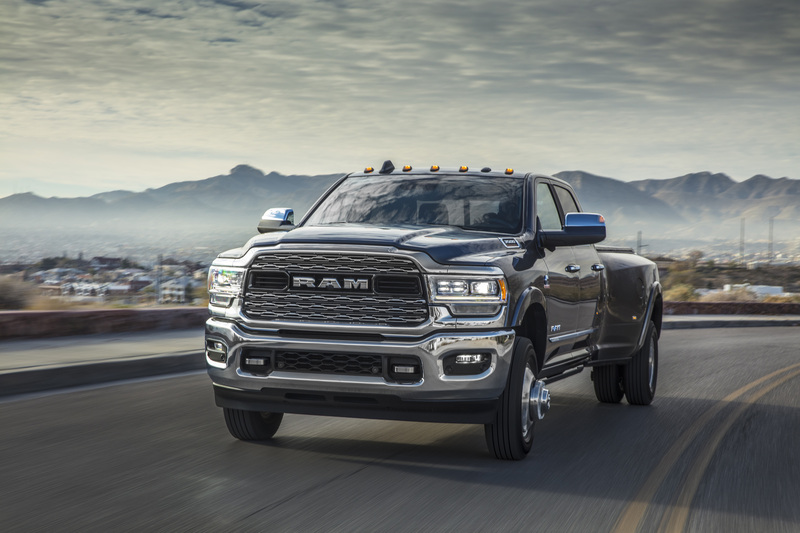 The highest quality interiors, active safety systems and of course our award-winning Uconnect technology contribute to the best Ram 2500 and 3500 trucks we have ever built." 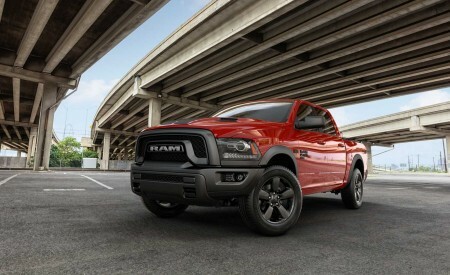 Ram Heavy Duty trucks powered by the standard output Cummins 6.7-liter Turbo Diesel are equipped with a significantly upgraded version of the 68RFE six-speed automatic transmission. 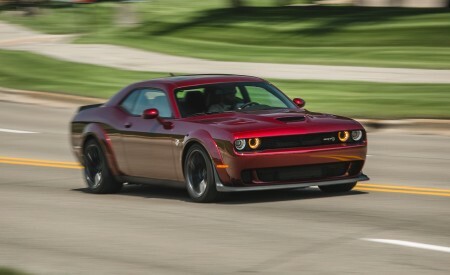 Changes designed to improve the electronically controlled transmission's shift quality include new variable-force solenoid controls for the torque-converter clutch. A new reverse accumulator improves shift feel when placing the transmission into park from reverse. Drive-to-park shifts were also improved through refined hydraulic control. 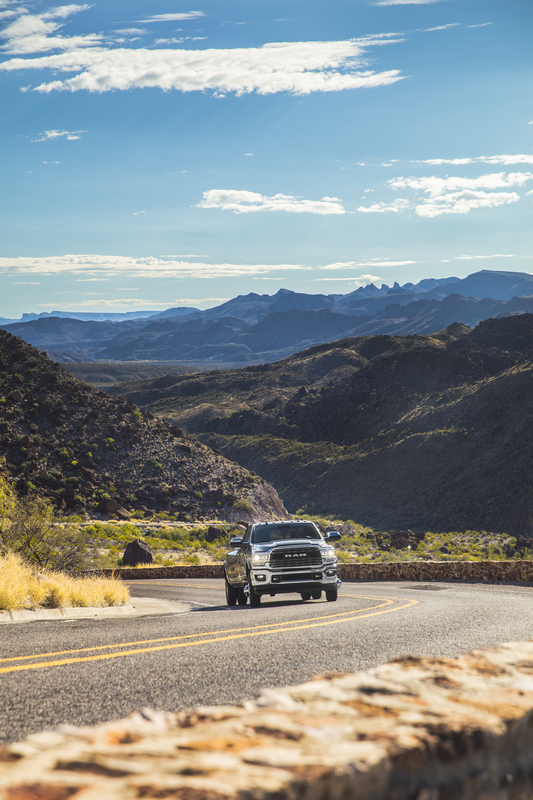 In a first for the Ram Heavy Duty, the 6.4-liter HEMI V-8 comes mated to the proven and smooth-shifting TorqueFlite 8HP75 eight-speed automatic. 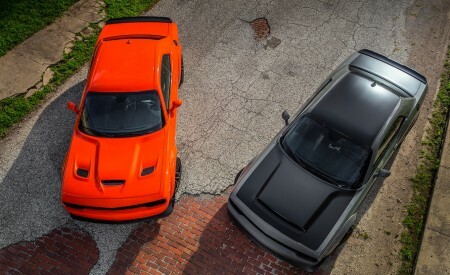 There are more than 40 individual shift maps to optimize shift points for fuel economy, performance and drivability. 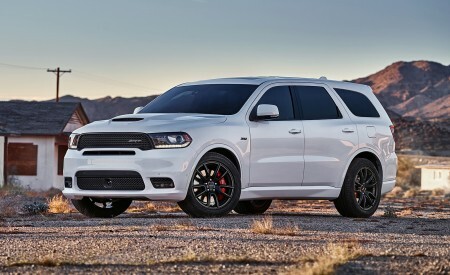 The transmissions use shift-by-wire technology, eliminating a mechanical linkage between the transmission and the gear selector. 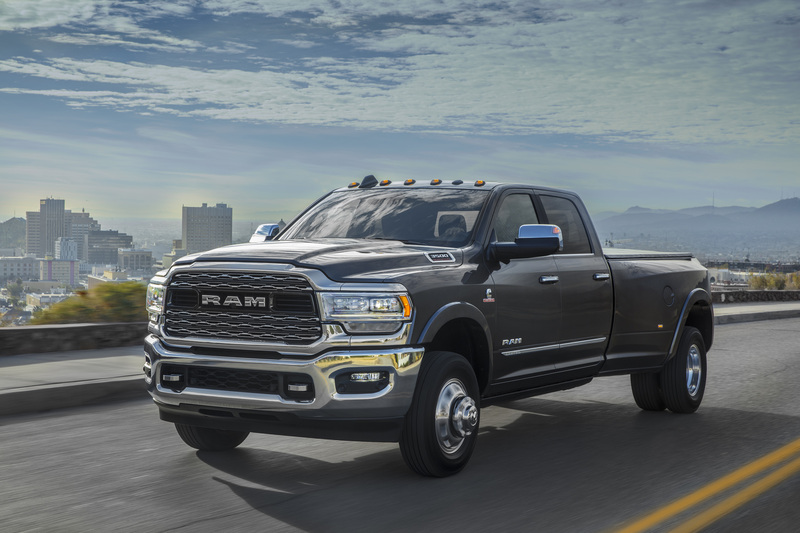 The 2019 Ram Heavy Duty uses an innovative rotary e-shift dial mounted on the left side of the instrument panel's center stack – freeing up space traditionally occupied by a console- or column-mounted shift lever. 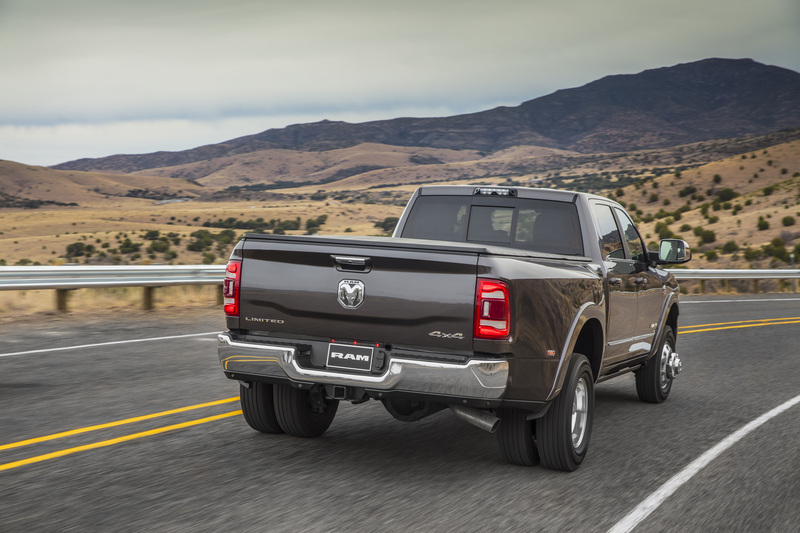 The 2019 Ram Heavy Duty is the most powerful, most capable pickup in the segment with a towing capacity of 35,100 lbs. and payload capacity of 7,680 lbs. 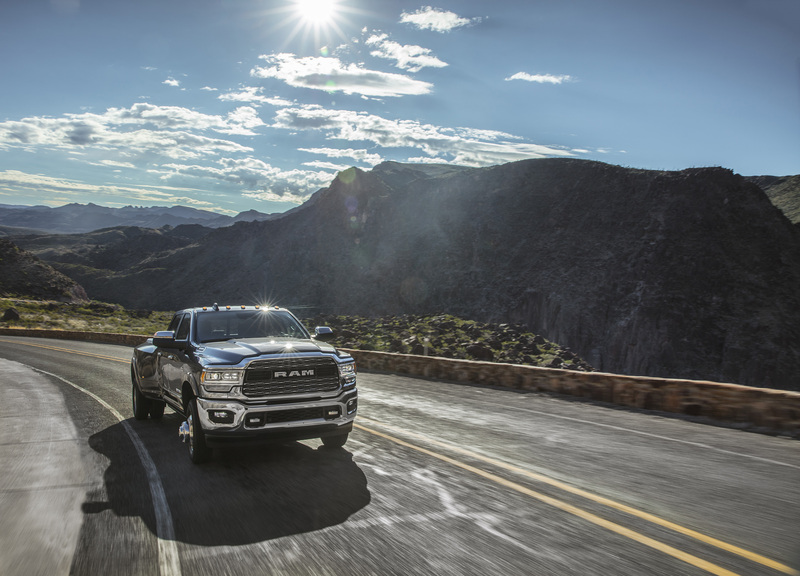 But big capability is irrelevant if the truck fails to instill confidence to the driver. 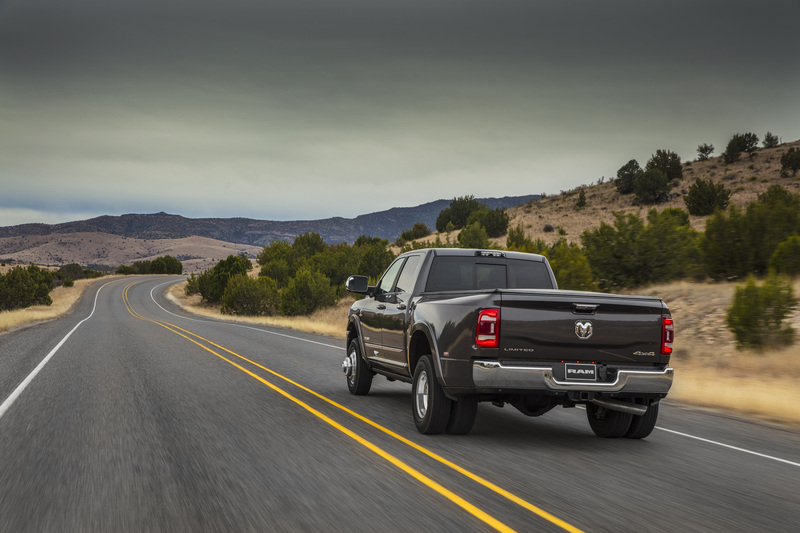 Ram redefines the phrase "you don't even know it's back there" when towing or hauling. 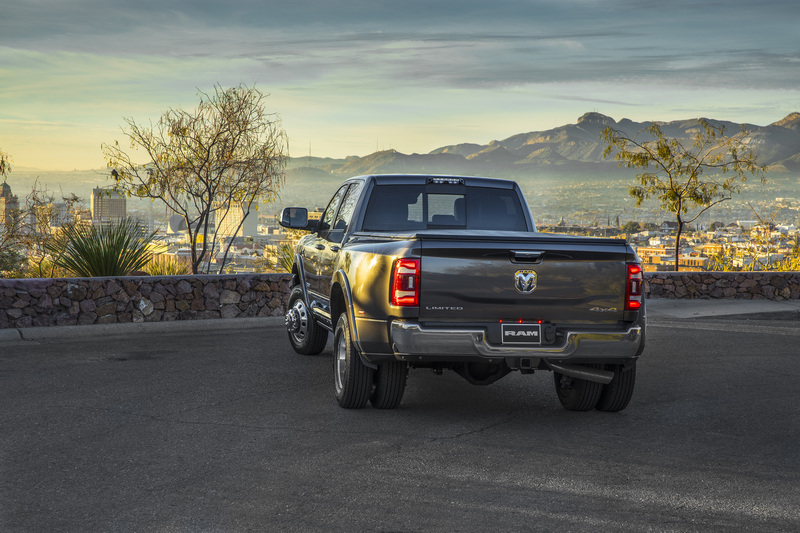 A class-exclusive Active-Level rear air suspension is available on both the Ram 2500 and Ram 3500 and includes a new Bed-lowering Mode to make the heaviest trailer hook-ups a breeze. 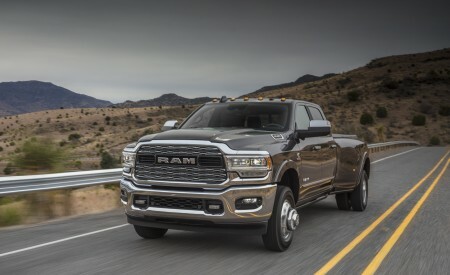 The 2019 Ram 2500 uses two air bags to replace the coil springs. 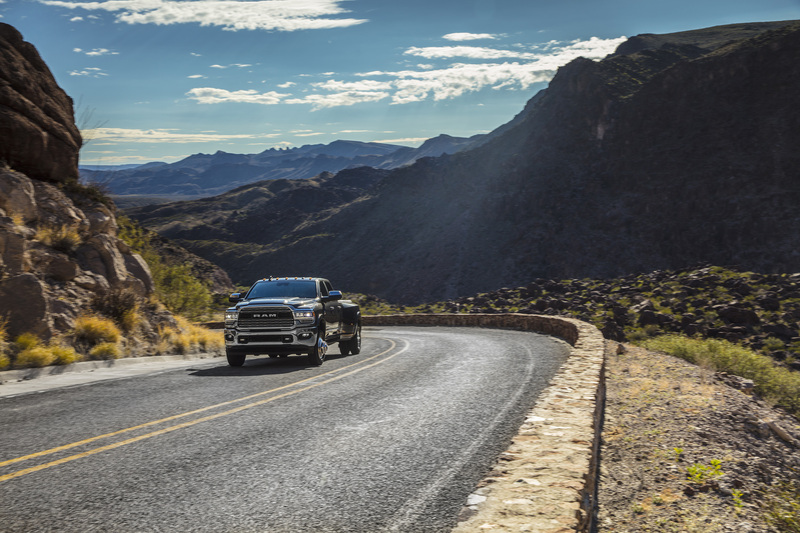 Load capacity is not sacrificed and the Ram 2500's best-in-class ride and handling gets even better, crushing the competition with two doses of engineering innovation (five-link coil with an air suspension option). 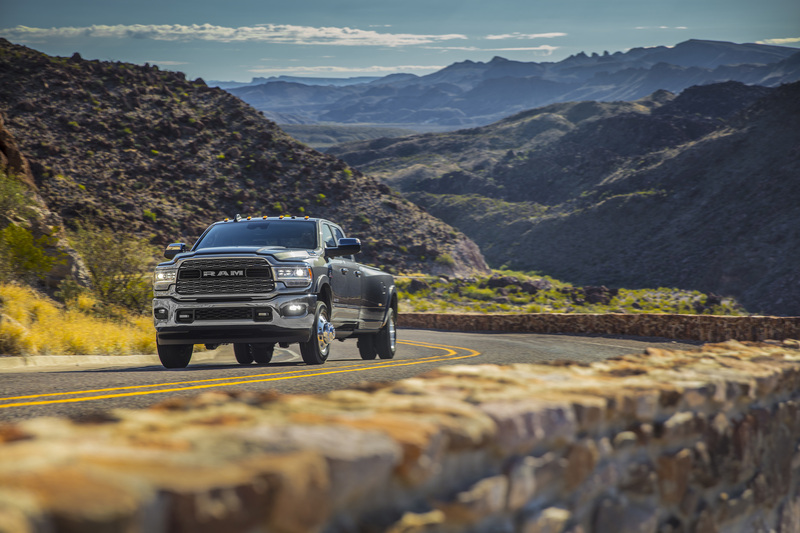 The Ram 3500 features a Hotchkiss rear leaf-spring system with optional air suspension. 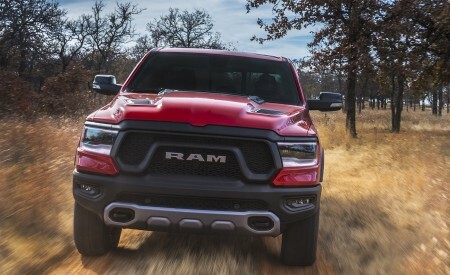 By adding supplemental air bags, Ram engineers were able to soften the heavy-load leaf springs, allowing for more unladed suspension movement. Robust sections combined with "interlocking" design aesthetics also function to improve aerodynamics to surround segment-leading capability and technology. 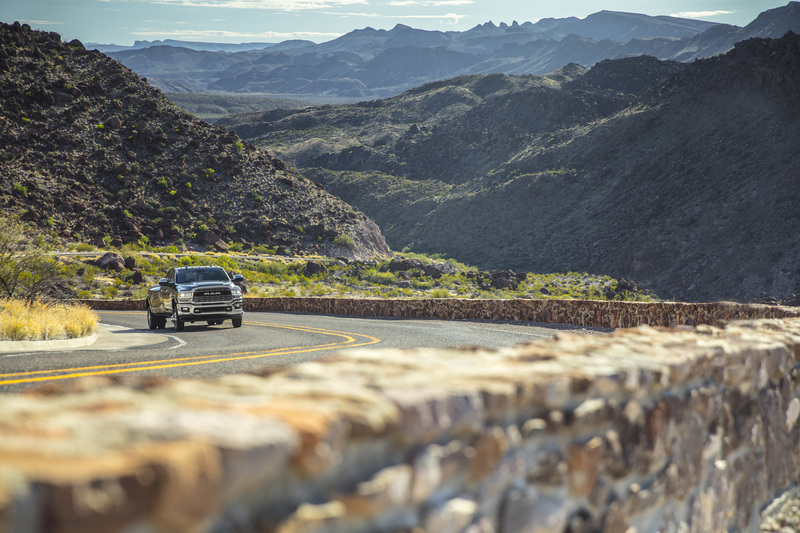 Every Ram Heavy Duty truck benefits from new content specifically designed to match each model's unique style. 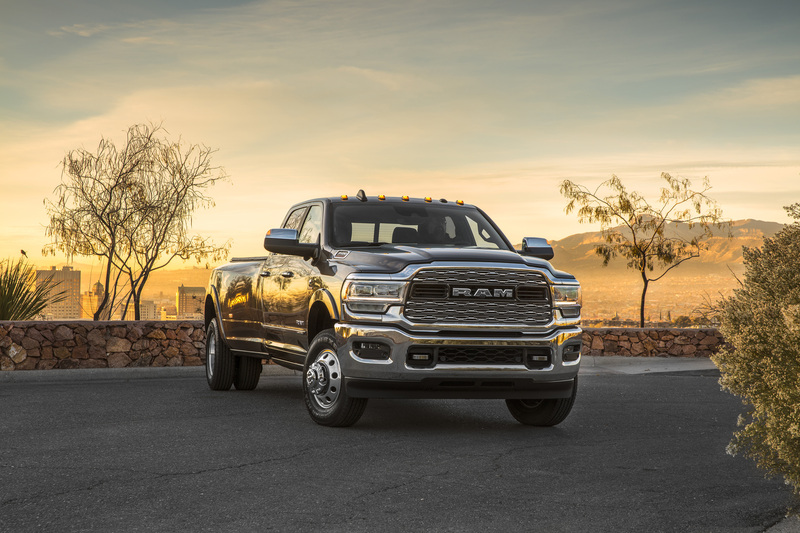 Rather than a traditional focus on styling elements individually, designers combined elements that influence each other's shape, resulting in a more integrated look that aligns with the mechanical capabilities of the truck. 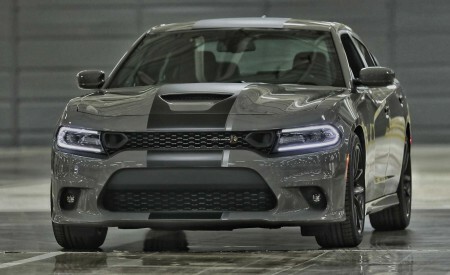 For example, the grille, hood and fenders share pieces of each other, as well as the instrument panel, cluster and center console. 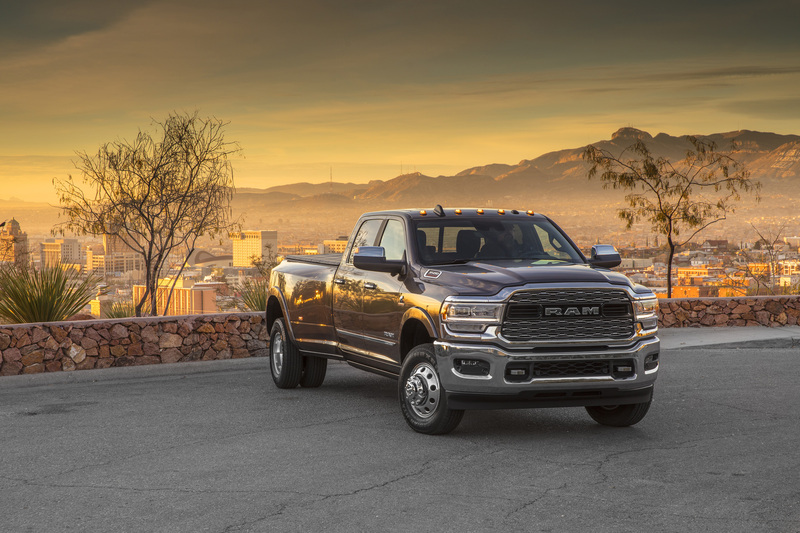 Surrounding the largest cab in the segment, the interior design team brought unique colors and premium materials to each trim level of the 2019 Ram Heavy Duty. 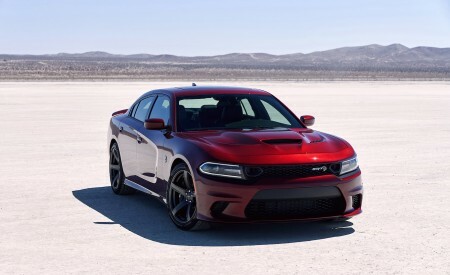 Each model makes its own unique "Hero" statement with paint colors, badging, wheels, grilles and other features.